EcoBake moulds for tart are manufactured on high-precision automated production lines, which provide a minimum size tolerance, making the moulds suitable for use on automated destackers. 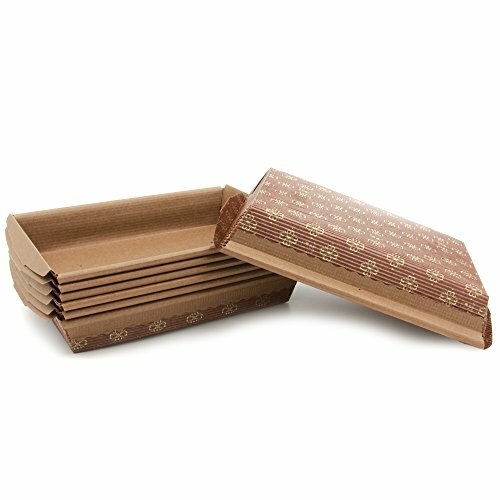 The vertical band is made from non-stick, greaseproof, corrugated paper, approved for direct food contact. The base is made from non-stick, corrugated, micro-perforated paper, approved for direct food contact. The printing inks used can withstand high temperatures and spraying with preservatives. Moulds for panettone are self-supporting and do not require metal tins for baking. Side band and base : microwave crimped ,brown pulp-coloured paperin pure cellulose, 125 gr. /sq.m Internal crimping Eliminates the delicate process of removing a cake from a mold. Can go directly from oven to freezer and back.Use for your chocolate cakes. WITHSTAND HIGH TEMPERATURES UP TO 390 F:This is among the top benefits of paper baking molds. You can bake your food at a high temperate without worrying about the paper getting burnt.